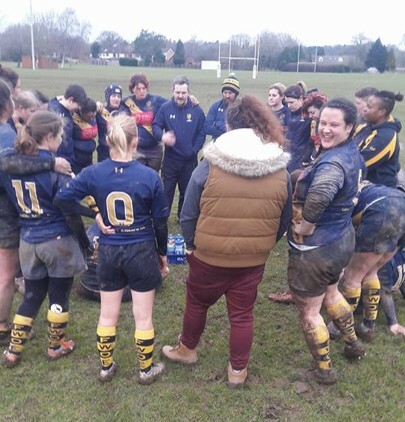 Our pitches provided another very muddy game! But that didn’t stop some great runs from backs and forwards alike. Anna Mac started the tally with a lovely interception that left her with a long run for the try line, those park run PB’s paid off though! We had some amazing carries from Dee Dee Umotong and Clare Adkins that set up a great try for Rachel Faull-Brown. Equally great from Rachel was a great last ditch try saving tackle, much to the disappointment of the opposition winger. We were very pleased to welcome 3 players new to Five Ways who all made a big impact on their first game. Especially Jessica Sly who hit the ground running scoring her first try for the team. Players Player went to Jen Watkins and Coaches Player to Rachel Faull-Brown.